The perfect chain guard / heat shield to the Blue Max or Yellow Clone [Box Stock Project (BSP)] engine or Honda GX200. Better guarding against contact between your shoulder and the header, this is especially important for larger racers with broad shoulders. Made from 3/16 aluminum and drilled for use with angled motor mounts. Q: Will this fit a predator 6.5? A: Yes it will bolt to the predator. 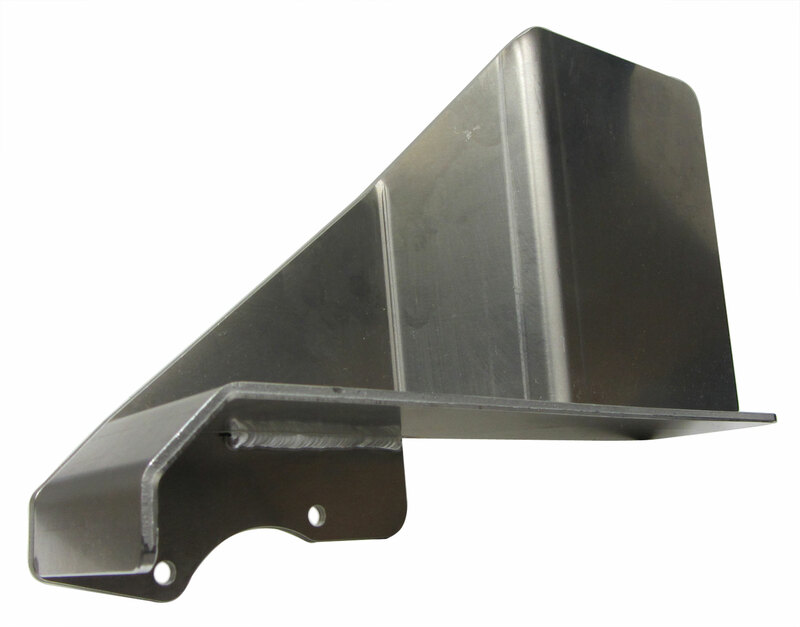 However, if the engine is still equipped with the stock gas tank it will interfere with a mounting this guard to the engine. The tank needs to be removed or the guard will need to be notched out.